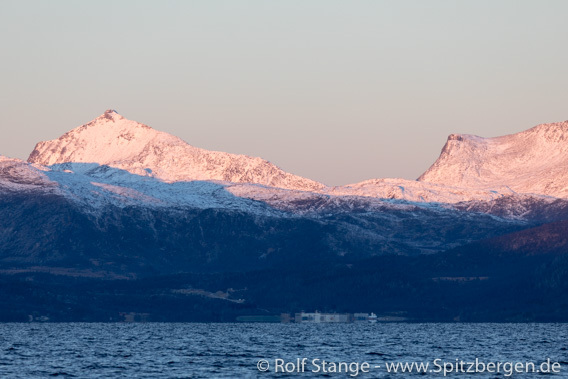 The first thing I see in the morning, somewhere southeast of Senja: orange mountains under a blue sky. So beautiful! Sunrise is currently near 8 a.m. and sunset is just before 3 p.m. … the days are getting seriously shorter now! But the light can be stunning … and you don’t have to stay up and awake half the night to see a sunset. Well, there are still the northern lights to keep you awake. Hopefully. This is our third day on board – time for a sailing introduction, and we can even put these skills to good use, taking advantage of an easterly breeze on our way to Harstad. 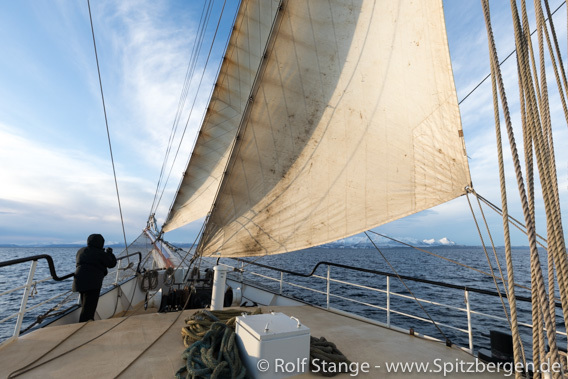 SV Antigua under sail towards Harstad. We also made sure everybody knows how to get some good photos when we hopefully get some northern lights the next days. If you want to read a bit more about the northern lights, including some photo hints, click here. We arrive Harstad in time around mid-day. 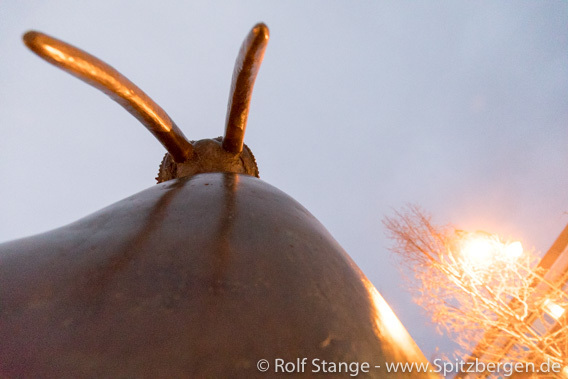 Harstad used to be a centre of political power and culture in north Norway for many centuries, so we take a bus to nearby Trondenes to get some more impressions and information about all this. On the way there, we have the only grounding of the trip (so far, at least), but it is with the bus and not the ship, so it does not matter too much … there is plenty of road building work going on here currently. 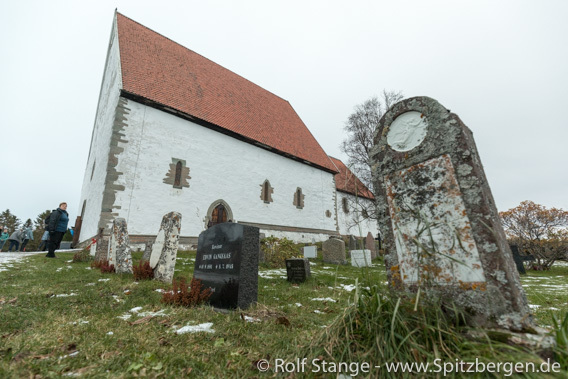 The medieval church of Trondenes at Harstad. ← Skjervøy - Orcas and northern lights!